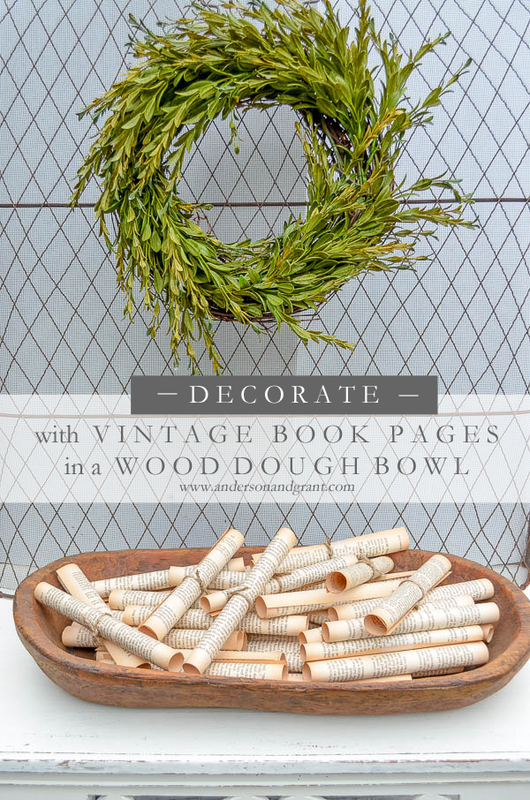 Old Reader's Digest books are fabulous for decorating and can be picked up really inexpensively at thrift stores. 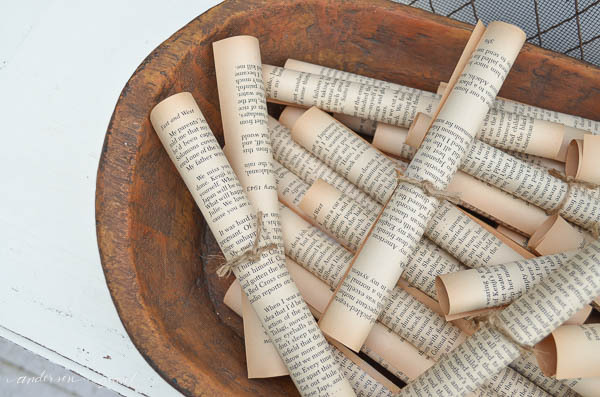 For today's decorating project, I used pages from one to create paper rolls to fill a reproduction dough bowl. 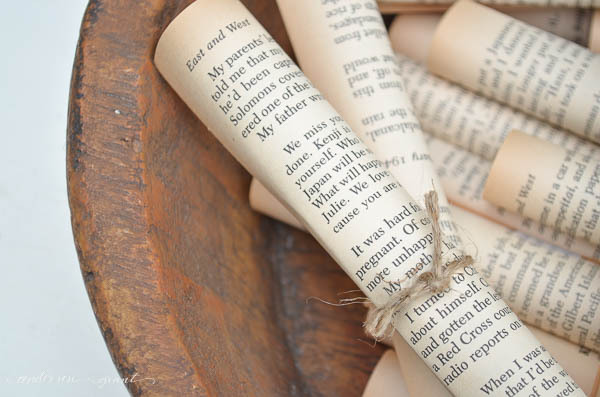 The pages are really aged and a little brittle, but work perfectly for a project like this. 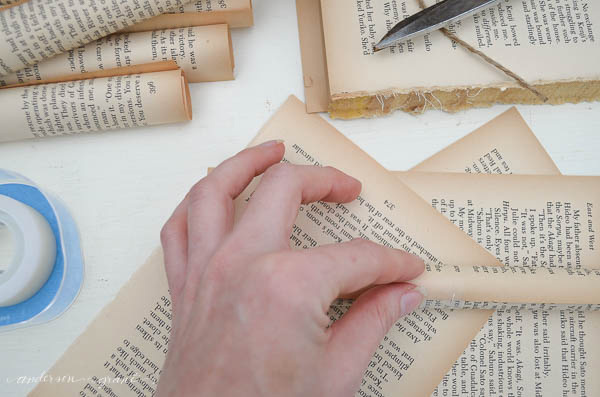 The pages of a hardcover book are most easily removed if you take the cover off first. Then each page can be peeled off from the glued spine in one clean piece. 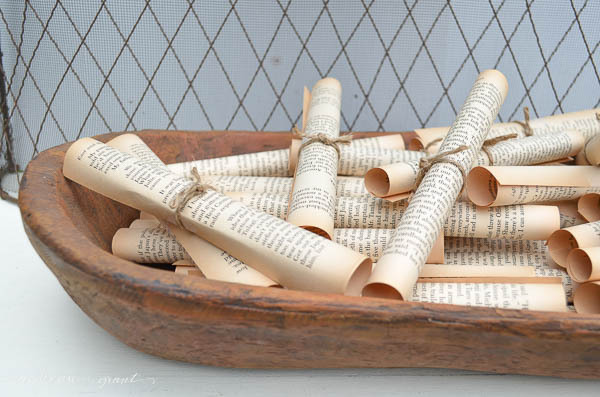 Once you have some pages removed, simply roll them up. 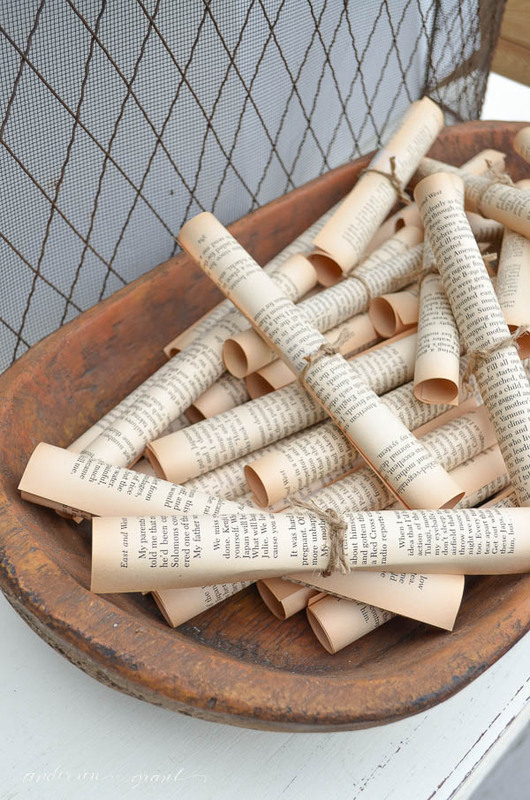 You can choose to have long or short paper rolls depending on whether you roll the paper vertically or horizontally. Secure it with a small piece of tape. 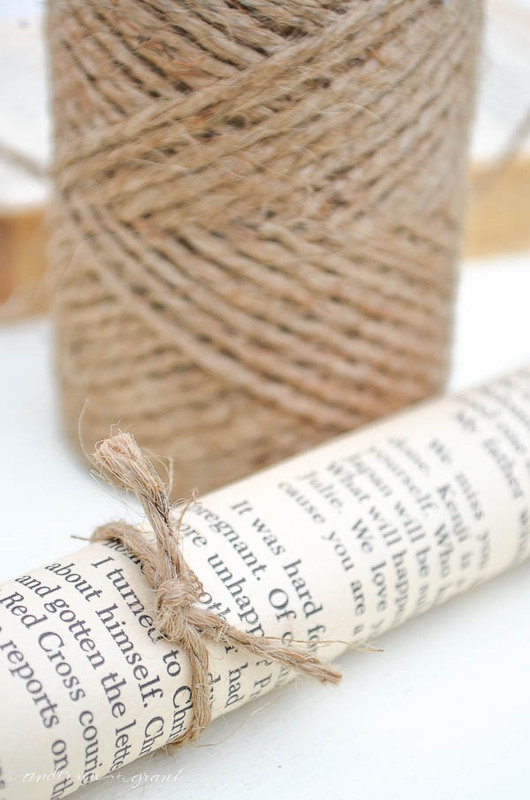 To add a little more texture, I tied a twine knot around some of the rolls. 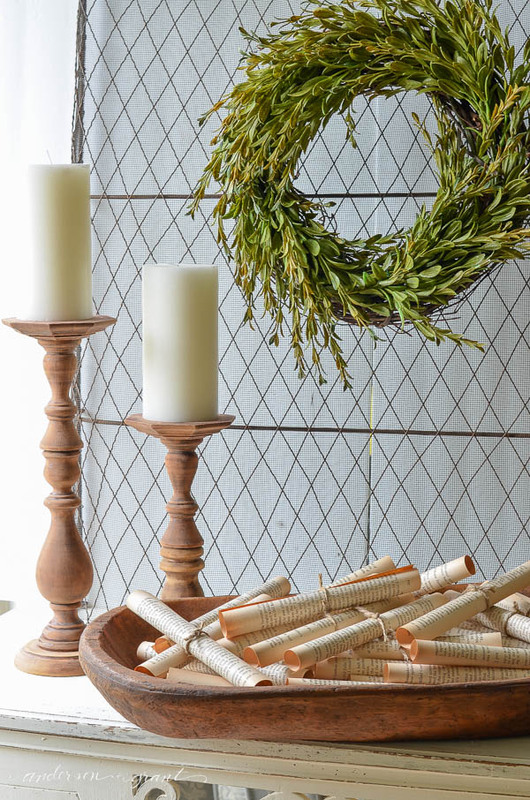 Toss all of your vintage paper rolls into a long dough bowl and you have an instant bowl filler. I did these the other night while watching TV and it took no time at all. You need quite a few depending on the size of your bowl, but creating them is one of those mindless tasks that just keep your hands busy. 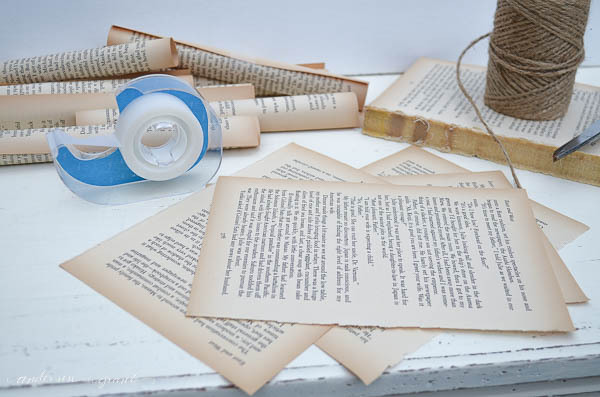 I really love having a new way to decorate with old books! Have you found any unique ways? In case you haven't seen it yet, be sure to check out my post from last week on how to create your own realistic looking dough bowl from a globe and joint compound! You can find the posts here.